Selling your home can seem like a great opportunity to gain a profit, but most people don’t realize that a lot of money goes into that process. There are a lot of hidden costs involved that can run anywhere from $10,000 to $55,000. It’s important to research costs and to be aware of the housing market before deciding to sell your home. The hidden costs can be divided into two different sections: house preparations and closing costs. The house preparations revolve around getting a home ready to be looked at and bought. Closing payments are for after a house has been sold. Read through this list of hidden costs and find out what to watch out for when selling your house. Before your home can be sold, it has to be cleaned thoroughly. You could try to clean it yourself, but hiring a cleaning service is the best way to prepare your home to be staged and made ready for potential buyers. The cost here varies depending on the size of the home, but it generally is around $119 in the United States. If your home also has carpet, that can end up being a separate expense running you at least $124. It might be necessary to paint your home so that it looks good for your potential buyers. It’s one of the best ways to give your home a fresh, new look without remodeling. Again, you could do the painting yourself to save money, but it would be easier to hire painters in order to get a more professional look. If anything in your home is in need of repair, you’ll need to make sure to get it fixed before putting it on the market. Whether it’s a faulty faucet or a broken window, you’ll need to put up the money to have it repaired or replaced. If you don’t make the fixes or go too cheaply on the repairs, potential buyers will be put off when they walk through the home. You’ll end up paying more than you would have if you would have taken care of everything from the beginning. The good thing is that you won’t have to worry about remodeling. That’ll be a cost for the buyers. You’ll want your home to not only be intriguing to buyers but to also draw them in. The best way to do that is to make sure that your home looks as beautiful on the outside as it does on the inside. 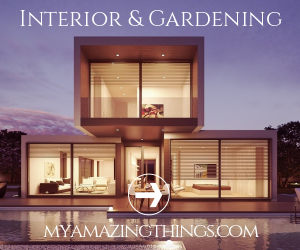 You’ll need to either hire someone to do your landscaping, which can cost a few thousand depending on the area, or you could do the job yourself. There are plenty of places where you can purchase beautiful plants and weed killer to take care of your lawn. These commissions take up the majority of the closing costs. The realtors, both the buyers and yours, generally receive a total of 5%-6% of your home’s selling price. This means that the higher the price of the home, the more money you have to pay the realtors for their commissions. Other than the commissions, this is where the majority of the money spend on selling your home goes. This involves the escrow fees, transfer taxes, notary fees, and mortgage processing fees. The buyer will be responsible for choosing the closing company, and those prices will be fixed. Before your home is officially sold, you’ll have to pay the remainder of your mortgage, all outstanding property taxes, and a share of the water and sewage bills. Once you’ve sold your home, you’ll have to move out all of your things if you haven’t already. Movers can be pretty expensive so be sure to shop around and find a company that works for your situation. It may be worth it to shell out more money for your possessions to be treated better. Selling your home is more expensive than it may initially appear. You will always make a profit but there are plenty of expenses to think about and consider. See the guide on selling a house costs from Get LISTED Realty for more information about these hidden charges.